Pride shows itself in many ways. People show pride through their work, attitude, ethic and morals. Most people also show pride through the institutions they represent. Therefore, sports teams have legions upon legions of fans. Sports can be part of the college experience, whether by playing or just attending. Attendance at college athletic events has decreased in recent years, and now, ULM is suffering the same fate. People simply aren’t attending athletic events. The low attendance numbers are even lower than we thought. 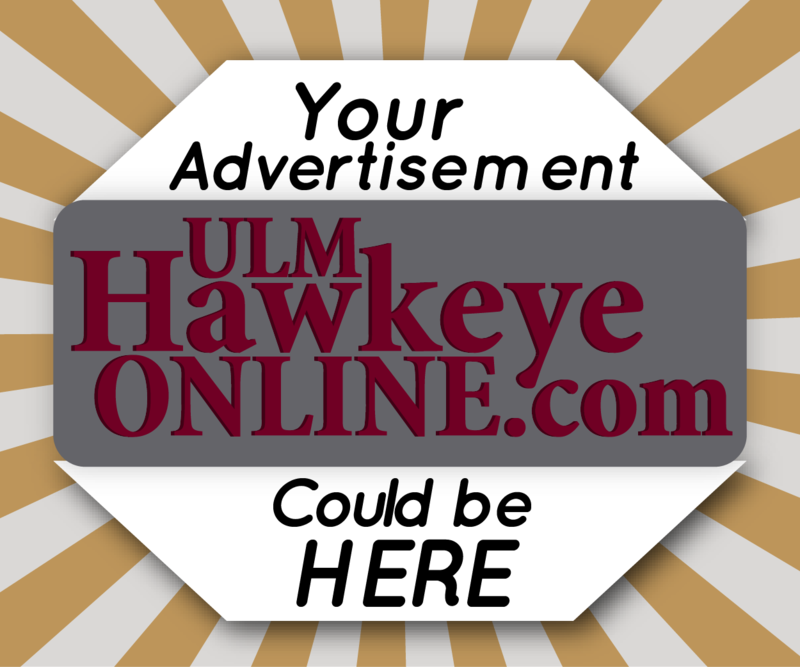 ULM could be in danger of losing its spot in football’s division 1-A program. The National Collegiate Athletic Association (NCAA) asks that collegiate schools maintain a 15,000-average home attendance to stay in the top division. A report from the Wall Street Journal was published detailing the imbalance between the announced attendance and the number of tickets scanned at home football games. 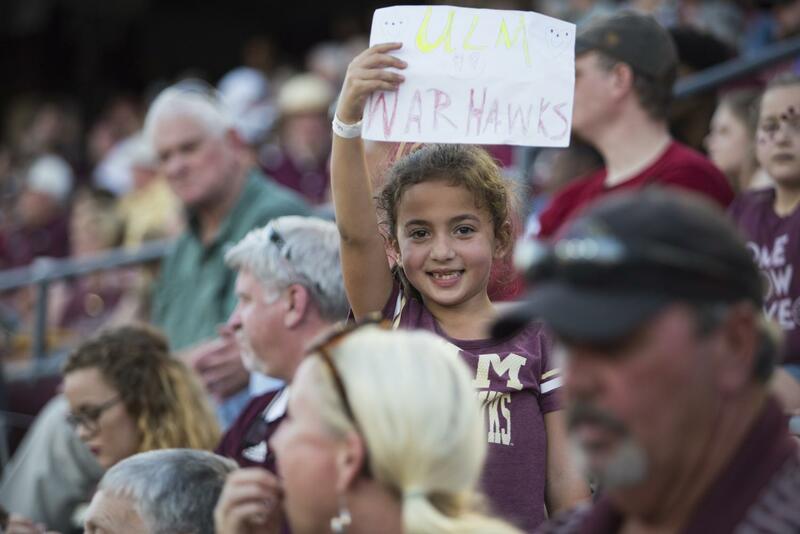 ULM, for instance, had an announced attendance of 49,640, but only 13,302 confirmed scanned tickets out of the five home games played in 2017. 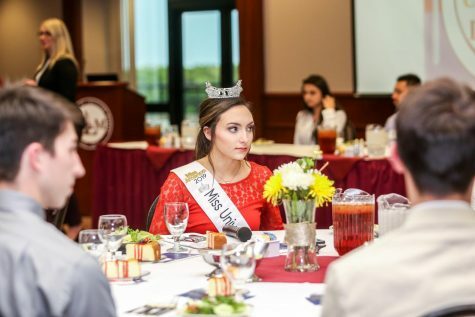 Tiffany Michelle, a senior history major, is graduating next month and considers herself to be an ULM athletics fan. 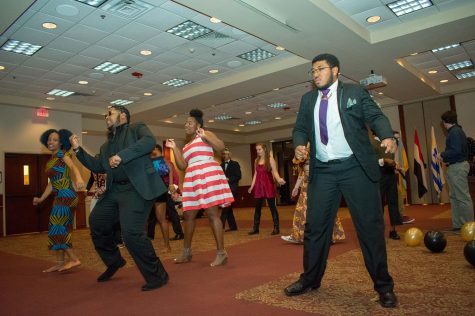 “I think low attendance is due to the demographics of the student body and due to how ULM is marketed. When I go to our football games, of course I’m hoping we will win, but I also go with the notion that I’m simply there to show school spirit and support my team,” Michelle said. However, stories about low attendance can be found at many large schools, state and private, across the country. Even bigger schools like LSU and Ole Miss are having issues with getting people to the stands consistently. Matt Viator, the head coach of the football team, is currently in his third year. He feels the problem is not only local but nation-wide. “If you look around, other than the elite power 5 schools, there’s a lot of people struggling for attendance,” said Viator. The football team and Coach Viator are bowl eligible for the first time since 2012. “I get frustrated when I look outside and see students wearing another school’s apparel. We take pride in who we are and who we represent as a university,” McDonald said. Cory Crowe, public address announcer and radio engineer for Warhawk Radio Network, said that there are many reasons for the attendance problem. “There is an attendance problem. Monroe doesn’t support their university like other university towns do. I don’t know if it’s because there’s three universities around the area or what. Some people support other teams more than their own,” Crowe said. He added to his statement by saying that another reason for low attendance at ULM games could be because of Friday half-days. “We want students to come back on Saturdays to support our teams. If you need more activities, then that’s what we need to hear from the student body, so we can make those changes,” McDonald said. One thing that could be changed is the marketing strategy, for all athletics. Keith Richard, Head Men’s Basketball Coach, is entering his eighth year with the program. 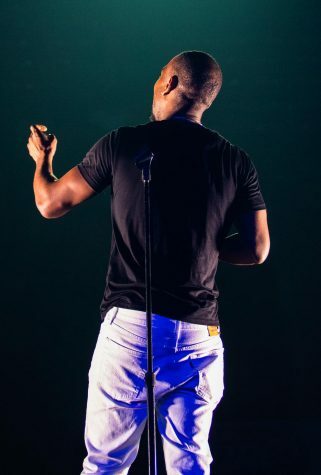 Richard said, “It’s going to take a year-round effort by all involved, along with some winning and creative marketing.” It is important for any brand to have a market that is based towards the consumer. Thus, making the consumer feel more connected to the brand. Trey Forsythe, a senior aviation major, said that nothing is really advertised well other than football. “My freshman year they used to put out signs around campus saying we had a baseball game today for example. Now, they don’t. I would like to go to sporting events; I just never know when they are. I had no clue we already started/had a home basketball game,” Forsythe said. If there is an issue with outreach, perhaps utilizing resources for purposes like game announcement and scheduled dates would be a good thing. ULM students may need a little help knowing when events are due to such stressful work and class loads. Several students have said that work is the main reason they don’t attend games regularly or at all. “Like myself, I think most of the student population have jobs, so that is what prevents a lot of people from going,” said Landon Boyett, a senior social work major. 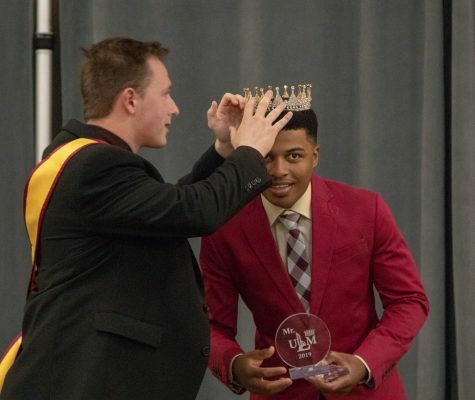 There is an obvious disconnect between the student body and athletics, but what can be done to combat this issue? “It all comes down to winning. Fans will support a winner, and we’ve struggled in many of those areas, but we are making strides though. We’re making improvements though. We’re first in our conference in football. Basketball is making improvements. Baseball is going to be good this year. Winning will help the problem,” Crowe said. 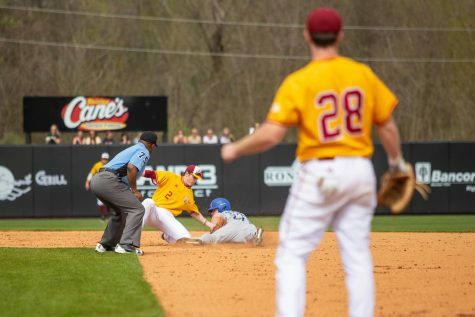 “We are going to continue to do promotional things, and, on the other hand, we need to produce a good product for students to watch and ULM athletics is improving in that area,” McDonald said. He added that it is important for the athletics department to find out what students like at sporting events. ULM opened in 1931 as Ouachita Parish Junior College. Three years later, it became the Northeast Center of Louisiana State University. In 1950, it became the four-year Northeast Louisiana State College. In 1969, after being granted doctoral degrees, the name changed again to Northeast Louisiana University (NLU). 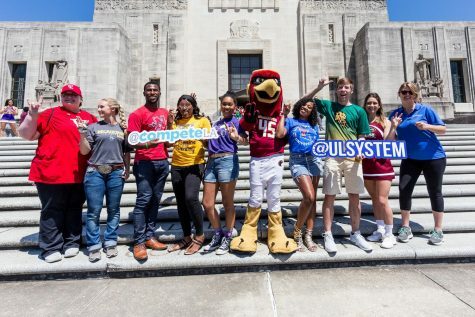 At the turn of the century, in 1999, the name changed from NLU to what we all know today as The University of Louisiana at Monroe. The point of that history lesson was to show how frequently ULM has changed and rebranded. Some argue that this could be a real reason for low numbers at athletic events. How can students and alumni get behind a school that is always changing? The same problem lies within the athletic administration. In the past five years alone, ULM has had four different athletic directors. When Bobby Staub left in 2013, Brian Wickstorm was named AD. Wickstorm had a relatively good reputation, but eventually left to pursue other administrative options. Nick Floyd came next in 2017 but left earlier this year due to health issues. Currently, Interim AD Scott McDonald is working on several plans for the athletics department and how to get fans back in seats. “We are looking into different initiatives for next year, and one of the concerns is the 6 p.m. kick-off, particularly early in the football season. Students come to the football game and are sitting in the hot sun, which is not a fun experience,” McDonald said. Knowing the demographic and applying that knowledge could help attendance tremendously and build a stronger bond with the student body. “We are looking to bring more of a free moving environment for fans to get that full game day experience,” McDonald said. Technology is a definite cause, if not the biggest, for the low attendance numbers. Technology is so widely accessible in the U.S. and has caused people to choose the couch and flatscreen over an uncomfortable stadium seat and live announcer. Bryce Lovelady, a freshman marketing major, said that he loves going to athletic events and believes that the more support players get, the better they play on the field. 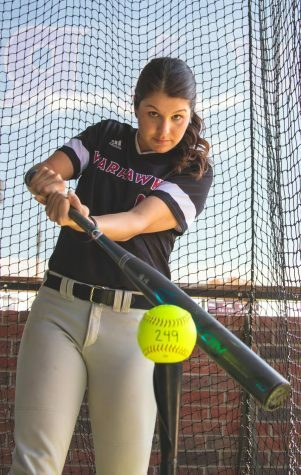 “Motivation is key to many athletes, and it drives them to do better in every way whether in the weight room or on the field if we have more fans come to the games, the confidence level of our Warhawks will skyrocket,” Lovelady said. Coach Richard said that home attendance can have a major impact in games. “In college basketball, the home team wins 70 percent of the time, and home attendance is a part of that,” Richard said. Some believe that the solution lies with student fees. According to a NCAA Finance report, last year, ULM’s athletic student fees came out to a total of 317,695. If you divide this number by 9,000 (ULM students), you get a few of around $35, which is relatively cheap considering the level ULM is aiming for in competitive sport. The highest level. 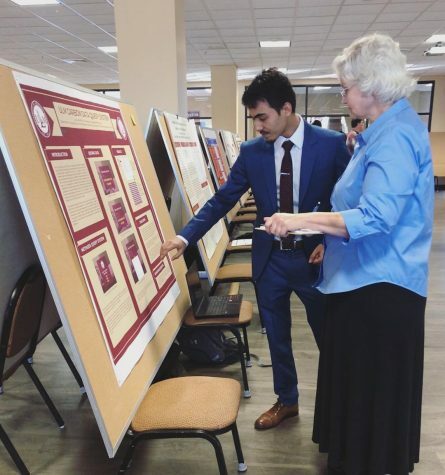 A fee was recently proposed to ULM’s Student Government Association and would have meant an increase in athletic funds. The fee, called the Student Spirit and Enhancement Fee, didn’t pass by the student body. Several students were confused and angered that they were being asked to pay more in fees without benefitting from it directly. 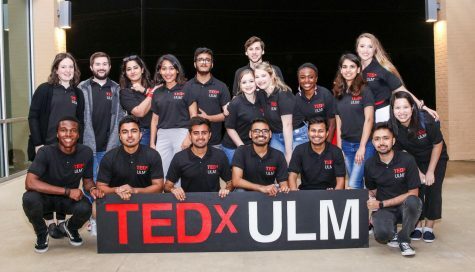 What disappointed most was how it seemed like they were being blamed for not having “school pride.” Students who strictly came to ULM for an affordable education argued their points on the Student to Student @ ULM Facebook group and even the day of the vote by “campaigning” against the fee on campus. 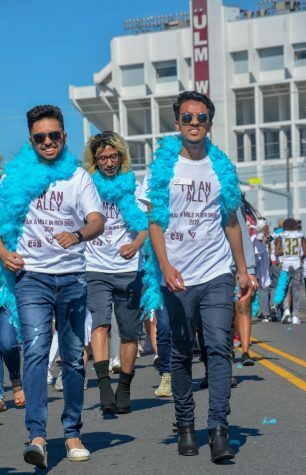 Students did not want to be made to feel like a bad Warhawk for not going to athletic events, and the fee failed because of it. If a revision was made to the proposed fee and the people who proposed it could explain how students and athletics would both benefit from the fee, it might potentially pass in the future. Senior Volleyball Setter, Presleigh Williams said attendance has improved during her time in school. “We definitely had more people than we have had in the past,” said Williams. She credited the different foods, treats and gifts, provided by volleyball coach Russ Friedland that the audience were given during games. These things encourage people to attend games. Tim Cowlishaw, a staff columnist for Dallas News analyzed a report done on attendance numbers by the NCAA and found some interesting points. “Of all the information released by the NCAA this week, I do find it interesting that the average attendance remains in the 42,000 range. That’s about right where it was 35 years ago. Of course, what we now call FBS has added schools to this category that don’t exactly bring Michigan-sized stadiums with them, so that offers some explanation for the flat line on attendance,” Cowlishaw said. The “Best on the Bayou” is one of those smaller schools still trying to find balance, since it’s switch to the division 1-A and its inclusion in the FBS Sunbelt Conference back in 2006.